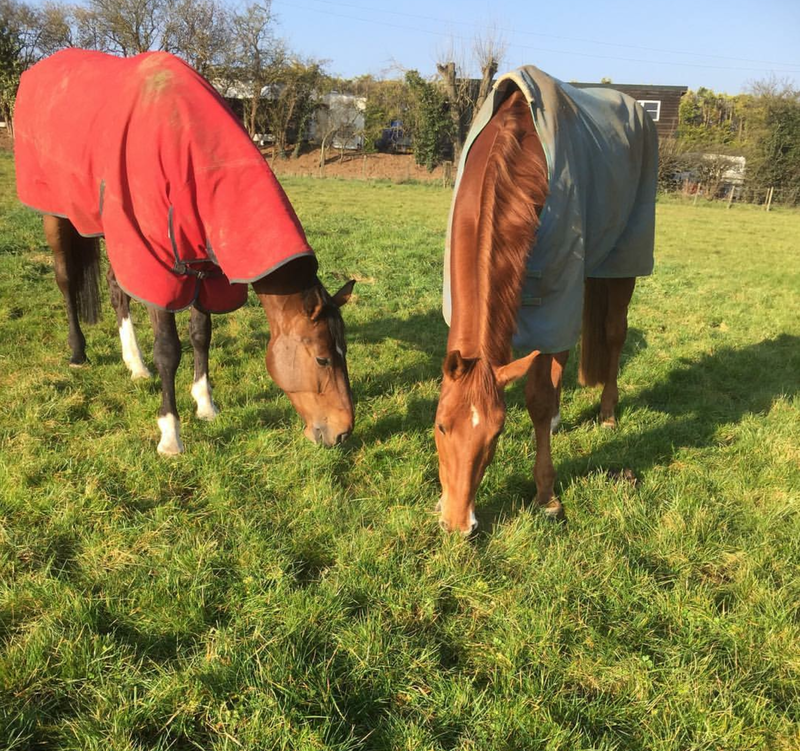 It’s the start of a new year and despite focusing on less pounds in our pockets and more pounds on our bodies, we are still contending with the equestrian season of mud, cold and more mud. But just because the seasons have changed, it doesn’t mean your management practices should. Here’s a recap on why your management practices should stay as consistent as possible throughout the year and how to combat those winter worries. Unfortunately at this time of year, we ourselves are naturally prone to comfort eating and wrapping up warm! However, this does not necessarily mean your horse needs more food and rugs. 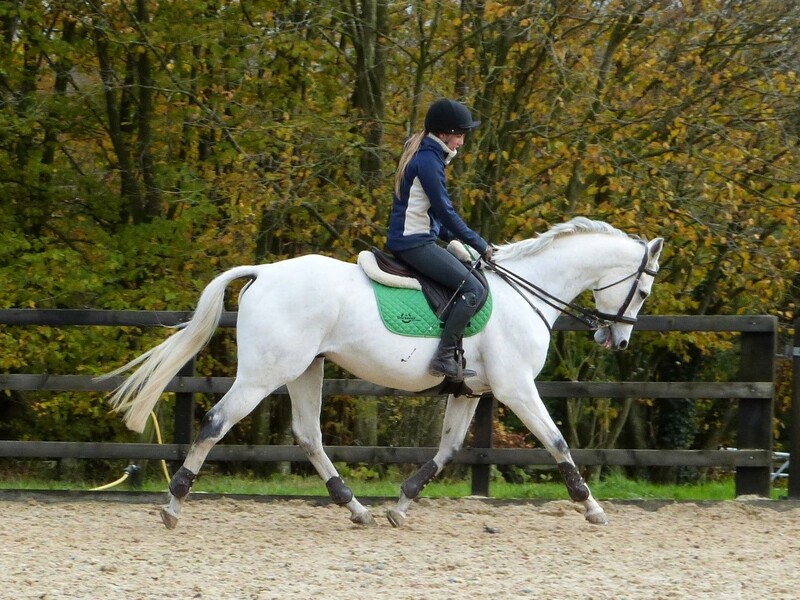 In terms of feeding, unless your horse has had a change in exercise, there is no need to increase their hard feed6. As long as your horse is eating the guidelines of 2.5% of their bodyweight, they will have enough to maintain their weight1. It is very important for horses to keep drinking throughout the winter as lack of water increases the risk of impaction colic. This is particularly important to keep an eye on as the temperatures drop because some horses do not like to drink cold water. 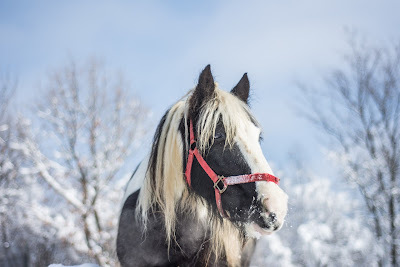 With this in mind make sure you notice what is normal for your horse so that you can alter the temperature accordingly and even add flavouring if need be. 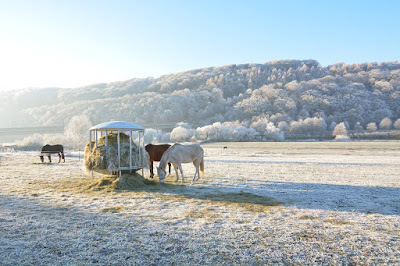 If your horse's are out during the winter, ensure their water is unfrozen. There are several things you can try to prevent this including allowing a tennis ball to bob in their trough3. As well as making your field an eye-sore, mud can be challenging for your horse's feet. 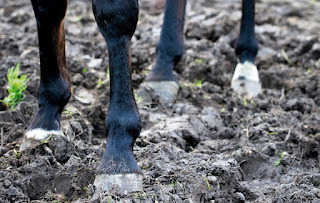 While it is good for the horses to be out to keep mobile, long periods in the mud cause their own host of problems for the equine distal limb. These problems vary from lost shoes to bruised soles, thrush, white line disease, abscesses and dermatitis not to mention more slipping and sliding in the field increasing the risk of injury. This is not helped by the fact hooves tend to change shape when exposed to the moisture from mud over a prolonged period. Farrier Paul Goodness says hooves tend to get wider and flatter so they have a wider surface area and sink less in the mud . 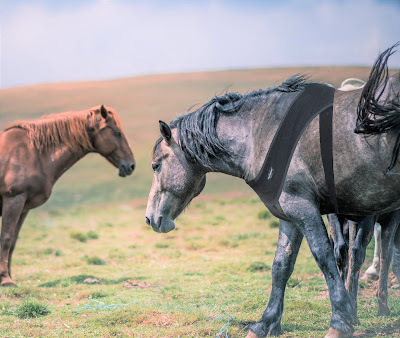 Stabling is not necessarily the answer to ensure hoof health however as standing on wet bedding will also soften the hoof and frog, increasing the likelihood of thrush. Rugging has created a storm of debate this year hence several published articles on the welfare of rugging. One article in Horse and Hound featured vet Tess Fordham who revealed the dangers of rugging prematurely and ‘over rugging’. She spoke about how it is increasingly common for vets to be called out “to horses displaying signs of colic, [who are actually just] too hot and suffering heatstroke – a manmade problem”. She continued to explain that “In the short term, it can lead to overheated horses [and] in the long term, if an obese horse is rugged too much, it will prevent them from losing weight – this puts them at a massive risk of laminitis in the Spring, Summer and Autumn. Laminitis kills and is almost entirely preventable. A horse should gain weight during the summer and lose weight during the winter. We mess with that process by rugging too much and don’t allow them to reset their hormone levels. A horse should be coming out of winter with his ribs just visible. If we don’t allow them to have this natural weight loss, their hormone levels remain high and they are much more likely to get laminitis in the Spring.” Read the full article below. Despite what we may thing about our horse’s being cold this time of year, temperature in the South of the UK have rarely navigated outside of their thermoneutral zone of 0° to 25°. Within this zone, they are more than able to regulate their temperature using a variety of techniques to increase or decrease blood flow as necessary. Outside these temperatures however, various things can affect how much energy is required to maintain heat, including weather, the size, age and breed of the horse and the shelter the horse has available. These are documented in greater detail by Dr Marlin’s recent post on whether or not to rug where he explains the scientific process of thermoregulation and heat losses and gains. Research shows that during cold or wet weather, horses spend less time playing and running in the field than the warmer months.4 This is because they naturally strive to conserve energy and prefer to stay close and huddle together to keep warm.4 In addition to more mud and less turnout, this means they are covering less ground and moving less – a consequence with its own problems causing stiffness, poor circulation, filling in the legs and muscular atrophy to name a few. Therefore, whether your horse is in or out, it’s important to schedule time for the horse to exercise, either during ridden work or turnout in a sand paddock/arena for a few hours a day. While some horse owners may see winter as a restful time for the horse to enjoy some time off from work or due to lack of facilities, the sudden change in fitness and lifestyle regime can actually be harmful for the body.5,6 In order to schedule this important time for your horse, plan ahead to maximise the light, schedule riding with your friends or get a friend to walk your horse while you are at work. For more ideas on how to save time and maximise your winter horse routine, take a look at ’40 Ways to embrace Winter’ by Horse and Rider UK. Don't let winter take away your motivation. Save time where possible and continue as normal with your routine, just make sure you monitor your horse carefully in terms of feed and water to ensure they are getting enough and keep an eye out for any winter conditions should they occur. Read the full article from Horse and Hound here on 'Rugging- a man-made problem'.